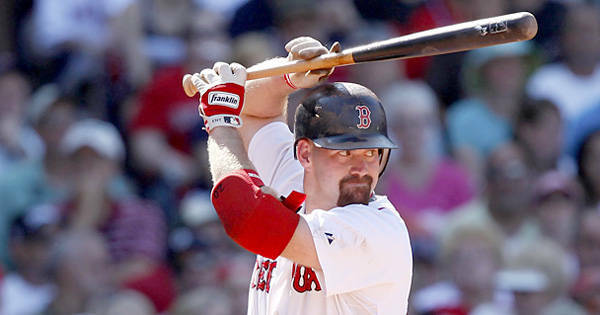 Becoming a good hitter is being able eliminate unnecessary thinking while you are hitting – do your thinking before you get in the batter’s box to hit……… Kevin Youklis implements on the best plans. 1. Watch the opposing pitcher as much as you can, warming up and pitching to other hitters. Know what types of pitches he throws; know where his release point is; is he a power or control pitcher? 2. Know the game situation when you come to bat. Is there a runner on 2nd with no out that you at least need to move over to 3rd base? Anticipate the coach flashing you a bunt sign with a runner on 1st or 1st & 2nd with no one out – don’t be surprised. Be ready to execute, not think about executing. 3. Pitchers are taught to get ahead – strike one is their aim. Be ready for a good pitch to hit; don’t be surprised by a balloon – attack it. 4. The following counts are hitter’s counts: 2-0, 2-1, 3-0, 3-1. Be ready for a good pitch to hit. Be ready, but don’t be willing to swing at anything – become a “zone” hitter; look for the ball in a specific location – if it’s there, whack it; if not, don’t swing. 5. Walk into the batter’s box looking to drive the pitch – swing hard but controlled. 6. Know that you get three strikes – it’s your advantage until you have 2 strikes. You don’t need to protect until you have 2 strikes on you. Get your thinking (mental preparation) done before you step into the batter’s box. Take advantage of all the “down time” you have between atbats when your team is hitting – be a hawk sizing up their pitcher. When you step into the batter’s box, it becomes very simple – SEE THE BASEBALL AND SMACK IT!!!!! Don’t make it harder than it already is!!!!! !